This is no ordinary Calibra. 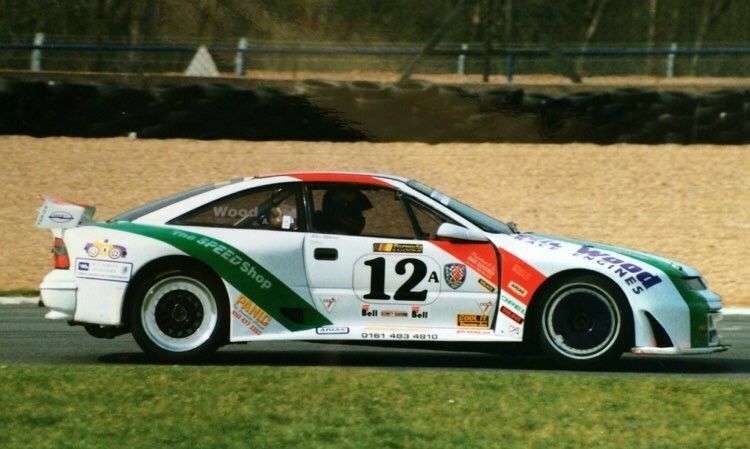 Successfully raced in 1998 to 8 race wins and 1st in the Formula Saloons British Championship. This car was the quickest car of its class in 1998. 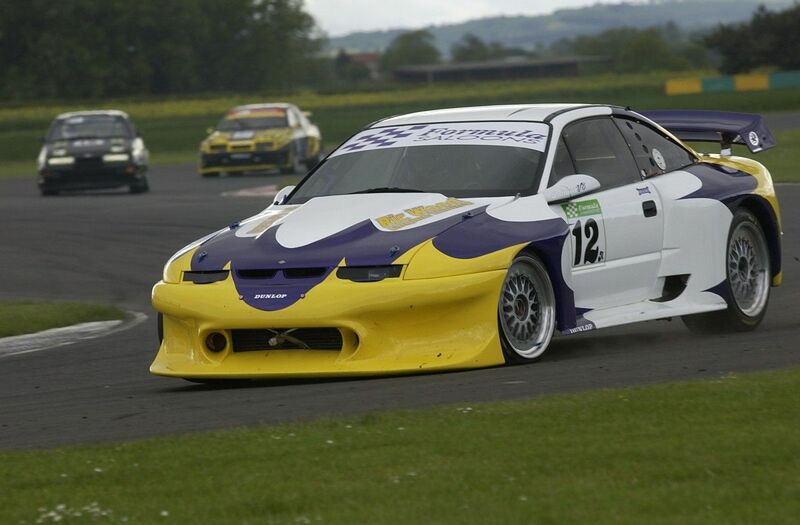 The second of two cars built for Thunder saloons by Pilbeam racing. 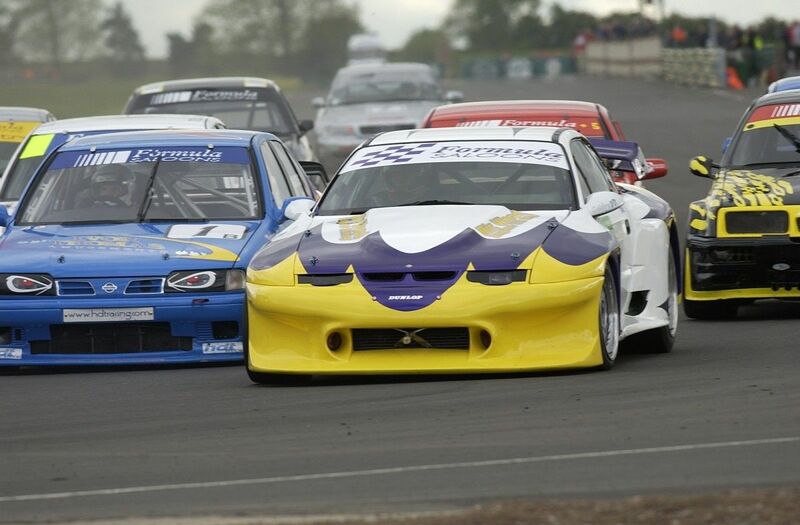 This car was far stronger in competition than the first and won the Thunder saloons class. Sold to Ric Wood in 1997 and modified to run in Formula saloons and is still raced to the present date. Fitted with a 6.2 litre Chevrolet V8 engine specially race built and tuned by Ric Wood to put out an awesome 646bhp at 7000rpm driving through a 4 speed Jerico NASCAR race gear box. The engine , built by Ric Wood features an Alloy Pontiac Block, Steel crank, SE pistons with a dry sump system. Ric Wood modified alloy race cylinder heads with titanium valves. MSD ignition Kit and programmable engine system. Engine was built using in-house dyno and gas flow analysis facilities. This car is is also fitted with AP Racing 6 pot racing calipers running on 355 mm discs. Fabricated rear axle arrangement featuring oil cooled GKN modified Limited slip differential (seen below). Alternate diffs are fitted according to circuit requirements to alter final drive ratio. 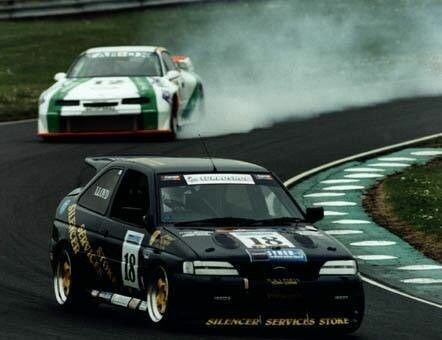 The highest ratio sees the car up to 197mph at 7000rpm as seen at Snetterton in 1998. This car is still raced occasionally and has been updated with new components and further tuning turning it in to something of a show case for Ric Wood Motorsport. It is without doubt one of the fastest full bodied cars in the UK or Europe. Body • New shell stripped of all underseal and seam welded. • Strengthened roll cage welded in. • Designed and built by Pilbeam racing. Aero Kit Full aero kit designed by Marnier Race cars. Instrumentation Full STACK digital dash and telemetry system. Transmission Four Speed Jerico NASCAR box. Wheels BBS 18 inch split rims. 12 inch wide. Fuel System 120 ltr ATL fuel cell (Foam filled) Mounted as low as possible.